Diamonds are girl’s best friends. There is no doubt regarding that. And diamonds lasts for eternity. There is no doubt regarding that as well. It adds a new definition to your relationship as you take your commitment to the next level. But make sure to figure out exactly that she is the one before making such life altering decisions. You are going to be sharing the reminder part of your life with this special person and she needs to be really special. Sort of like made for each other which is a very popular phrase. 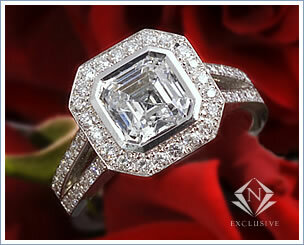 Diamond engagement rings are the best possible gift you could ever give to your valentine on Valentine’s Day. There is no other day better than Valentine’s Day to make such proposals. The diamond ring you purchase for making such a holy request has to be of the highest quality. A good quality ring will be certified by the necessary quality assuring boards. Make sure to purchase such certified diamonds while shopping for that special ring. It has to be highly unique as well. You cannot purchase just another random diamond ring. Of course, every ring you come across is invariably beautiful and elegant. However, most of these designs are similar in terms of their pattern and that is why there is nothing special about them. The ring that you purchase for your future spouse has to be highly unique and distinctive. It has to be according to her likes and dislikes. It has to be special just like how special she is to you and your life. The proposal has to surprise her and sweep her off her feet. 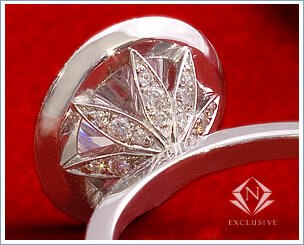 The latest trends in diamond jewelry are certainly quite modern and fashionable. They look dazzling, chic and trendy. They are certainly glamorous. Most of the diamond merchants allow you to customize your own rings. This is the best possible solution you could ever find for picking up the right unique ring for your fiancée. With three easy steps you can create your own ring according to her likes. All you need to do is choose the metal for the ring, certified center piece diamond for the diamond ring, and finally the setting style of the ring. And now defining the size of your ring, your ring is ready for purchasing. You can also choose among semi precious stones and wedding ring while customizing your rings. Semi precious stones are quite colorful and they add exquisite detail to your ring. The center diamond piece along with the semi precious stones set along the side are truly a remarkable style as they dazzle and sparkle like anything. These rings are bound to kindle the spirits and romantic ambitions of your fiancée. Browse through our galleries for further details.